Roaring Brook Press, 9781626720350, 80pp. 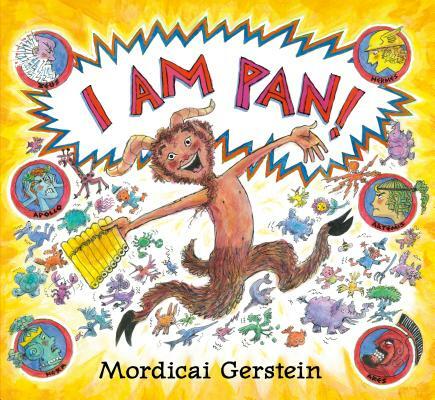 From Mordicai Gerstein, Caldecott Medal-winning author of The Man Who Walked Between the Towers, comes an irresistible picture book about Greek mythology's wildest, wackiest god. Gerstein's high-spirited paintings and rollicking sense of humor create an accessible introduction to an unforgettably vivacious hero. Mordicai Gerstein is the author and illustrator of The Man Who Walked Between the Towers, winner of the Caldecott Medal, and has had four books named New York Times Best Illustrated Books of the Year. Gerstein was born in Los Angeles in 1935. He remembers being inspired as a child by images of fine art, which his mother cut out of Life magazine, and by children’s books from the library: “I looked at Rembrandt and Superman, Matisse and Bugs Bunny, and began to make my own pictures.” He attended Chouinard Art Institute in Los Angeles, and then got a job in an animated cartoon studio that sent him to New York, where he designed characters and thought up ideas for TV commercials. When a writer named Elizabeth Levy asked him to illustrate a humorous mystery story about two girls and a dog, his book career began, and soon he moved on to writing as well as illustrating. “I’m still surprised to be an author,” he says. “I wonder what I’ll write next?” Gerstein lives in Westhampton, Massachusetts.